There's a good answer on the Mozilla website here. "WebAssembly is a new type of code that can be run in modern web browsers and provides new features and major gains in performance. It is not primarily intended to be written by hand, rather it is designed to be an effective compilation target for low-level source languages like C, C++, Rust, etc." Porting a C/C++ application with Emscripten. 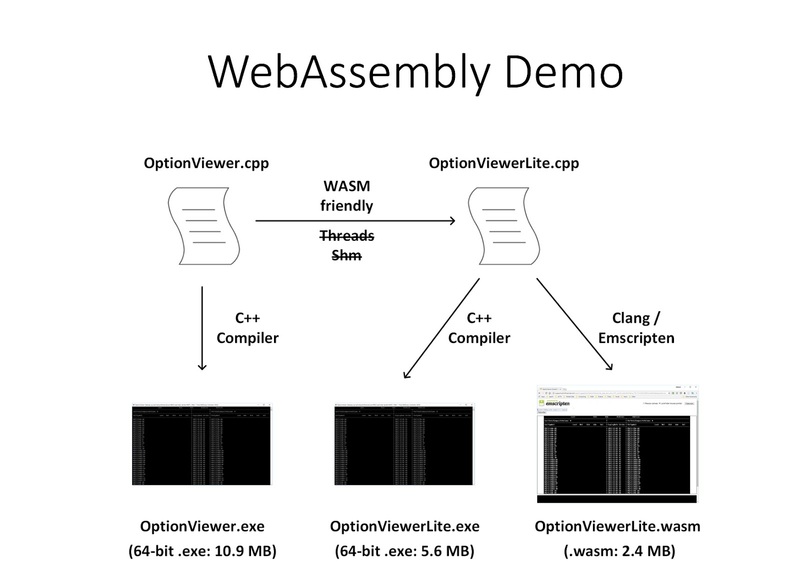 Writing or generating WebAssembly directly at the assembly level"
There is the mandatory "hello world" example here. What's the relevance to Global Electronic Trading? The item "MB" is a middle-box. 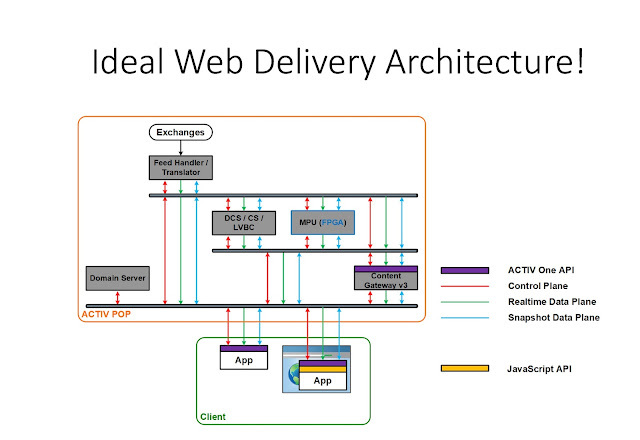 This can be thought of as the web streaming server that takes data from a server-side backbone and converts to JSON for distribution to web clients. 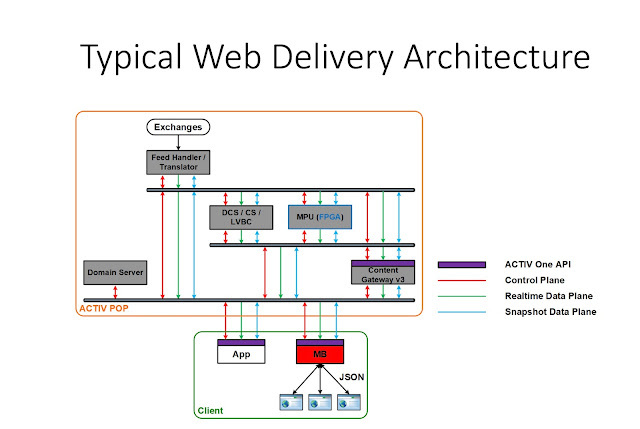 The difference here is that there is no middle box, that the data from the server-side backbone is pushed all the way through to the web client. This sounds like a small detail, but it's actually a big deal. Why? The C/C++ world has a great deal of tooling available, over time we should see that the quality for WASM development improves. Bottom line: If you are building web applications that stream market data - whether exchange data, broker quotes, Axes or anything else - it is time to look at WASM if you have not done so already. Disclosure: Activ Financial and Alignment Systems have no commercial arrangements in place. No axe, just impressed with their work.